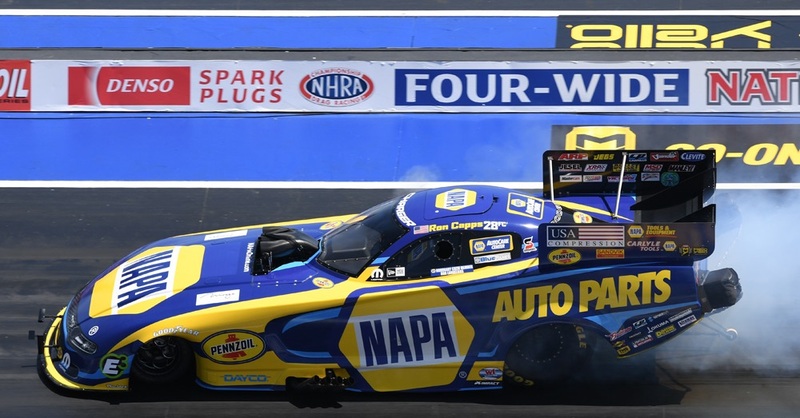 There’s nothing wrong with having a little luck come your way in racing considering it seems like it’s always falling with your opponents. 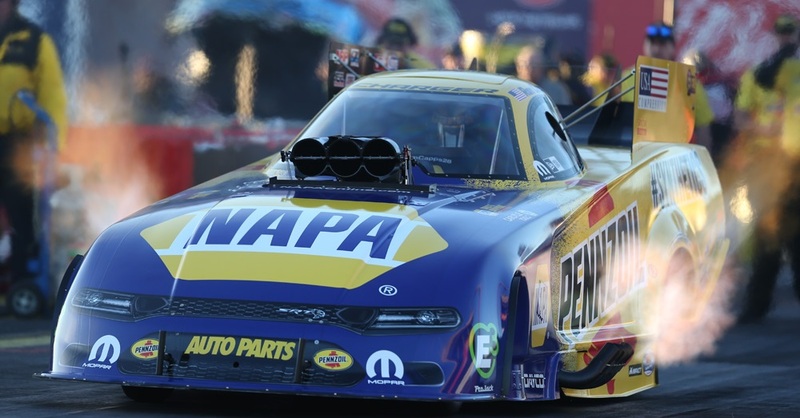 For reigning world champion Ron Capps and the NAPA AUTO PARTS 2017 Dodge Charger R/T Powered by Pennzoil team, they wore golden lucky horseshoes all the way to Sunday’s championship round of the NHRA Summernationals at Old Bridge Township Raceway Park at Englishtown, N.J.
Capps along with crew chief Rahn Tobler, assistant Eric Lane and the NAPA AutoCare Centers crew rode a wave of good fortune into their sixth final round through the first 10 races of the NHRA Mello Yello Drag Racing Series season before losing to Don Schumacher Racing teammate Jack Beckman. 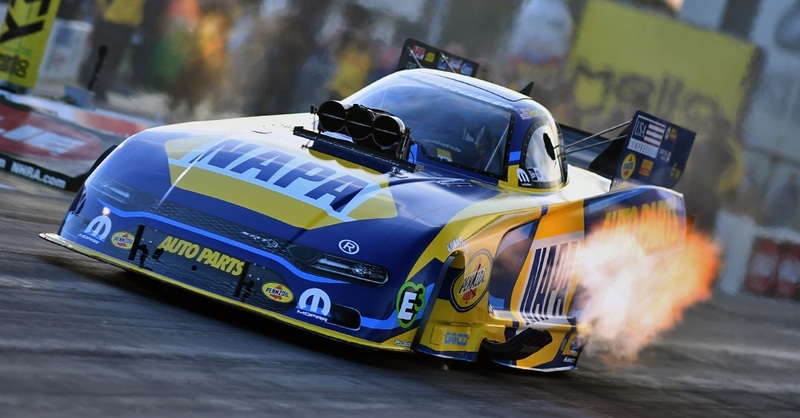 For the third straight event, Capps lost traction early in the opening round but was able to recover and advance. 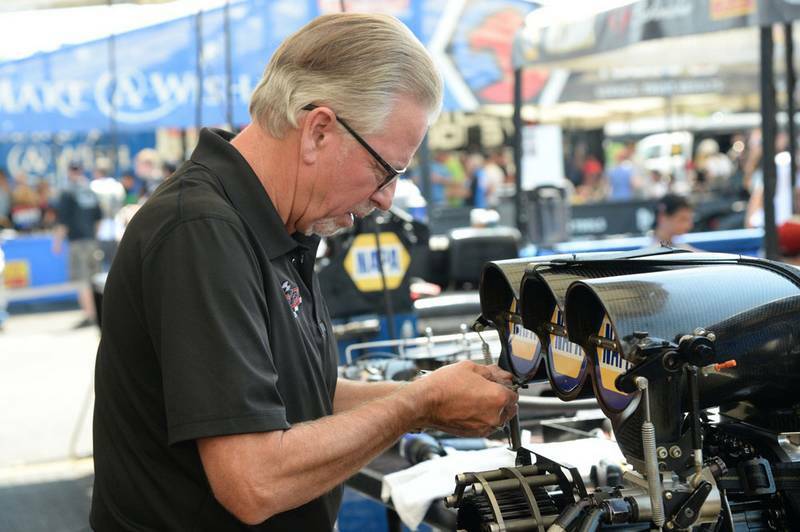 On Sunday, he faced Alexis DeJoria in the second round. 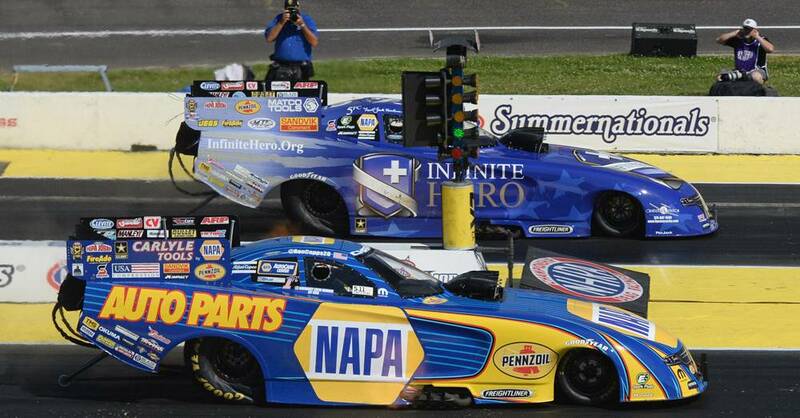 Once again, Capps lost traction while DeJoria moved out to a lead of several hundred feet. 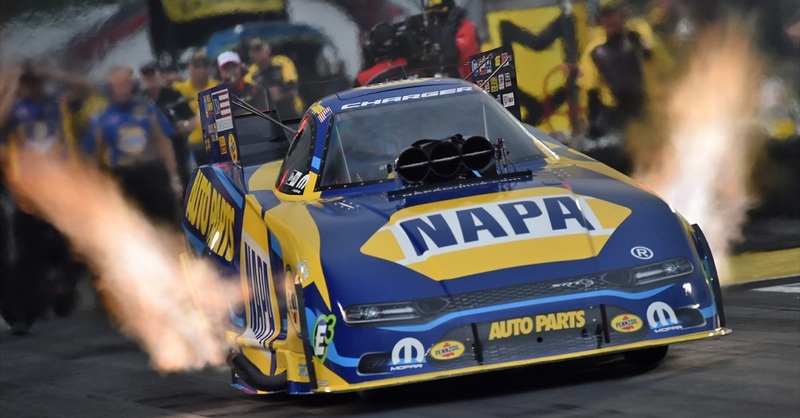 Capps knew he couldn’t catch her and was stunned as he watched her cross the centerline near the finish line and get disqualified. 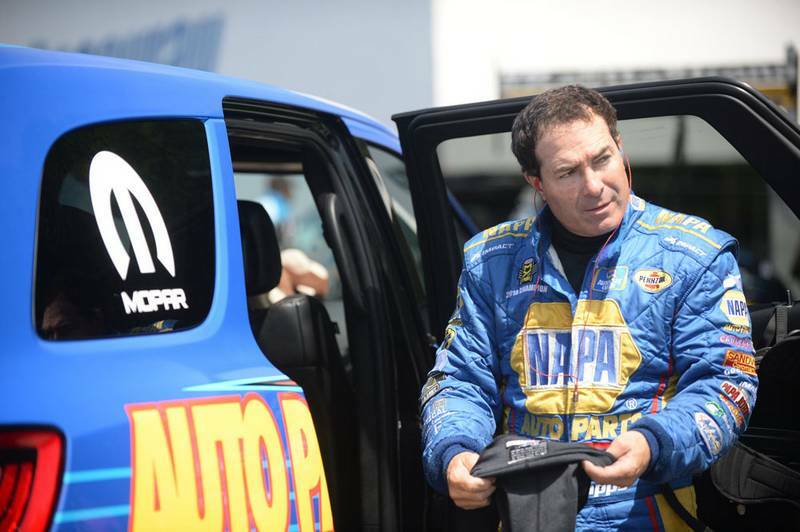 In the semifinals, he had another subpar run but it was enough to beat Robert Hight, who smoked his tires. 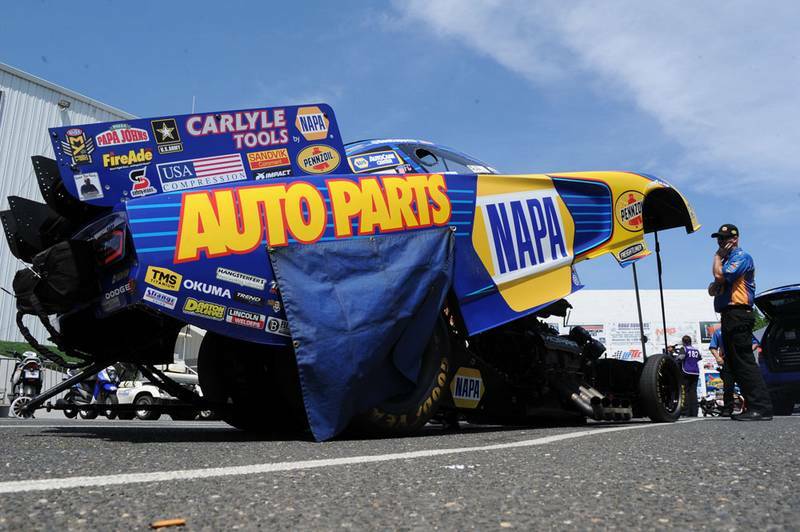 “We needed some luck,” said Capps, who extended his points lead to 129 over teammate Matt Hagan. 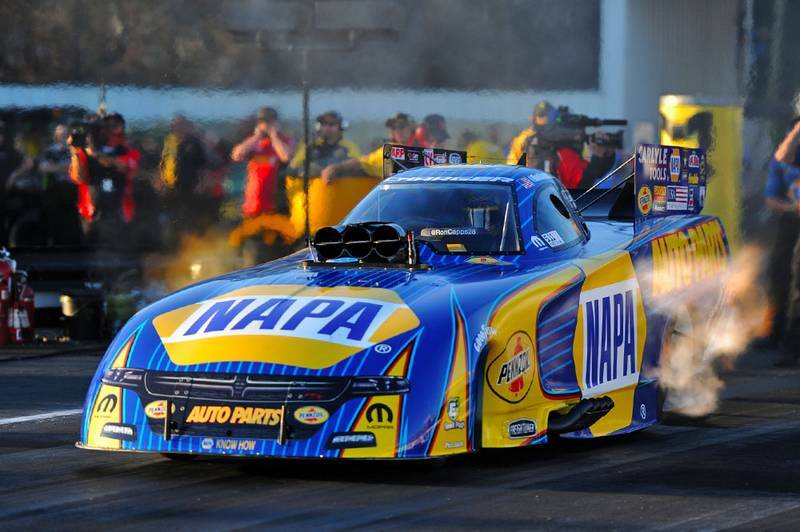 He hopes he won’t need any next week when the tour moves to Bristol, Tenn., for the third stop of the Eastern Swing that includes four races in four weeks. In concludes at Norwalk, Ohio. 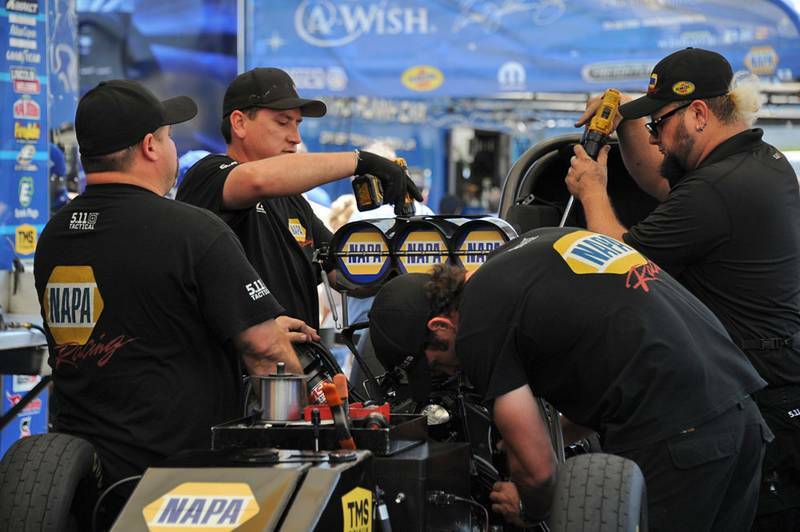 Next Race: June 16-18, Thunder Valley Nationals, Bristol, Tenn.